Fresh and tasty chocolate muffins served on plate. Covered with powder sugar. Placed on stone background. 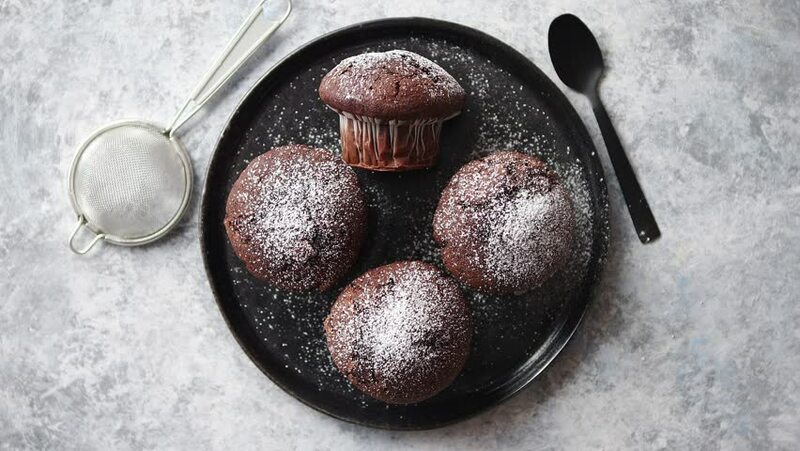 4k00:30Fresh and tasty chocolate muffins served on plate. Covered with powder sugar. Placed on stone background. 4k00:50Cherry. Ripe cherries rotating over white background. Rotating Black Ripe Sweet Cherry. Rotation 4K UHD video. Seamless looping. Closeup Makro.